American Christian Academy has an excellent needbased financial aid program. Although any family may apply, preference is given to those families already enrolled in ACA. 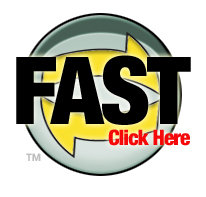 Family financial information is sent to FAST, a company in Delaware. FAST assesses the information that is submitted and then makes a recommendation to ACA's financial aid committee, who makes the final decision. Financial aid is only awarded for need, not academic, athletic or musical ability. Your child must either be enrolled or accepted as a new student and the registration fee paid before applying for financial aid. DO NOT APPLY FOR FAST FINANCIAL AID UNLESS YOU ARE A CURRENT FAMILY. YOUR CHILD MUST HAVE BEEN ACCEPTED PRIOR TO APPLICATION.